With the X-Core Technology you will have enhanced feel, incredible stability, and unequalled performance. X-Core combines the industry’s most advanced composite technologies with cutting-edge design. ARC-Advanced Reinforced Carbon for reducing torque and increasing strength. Mil-Spec III anodized reel seats and Tititanium guides offer the highest levels of corrosion resistance. Perfect for swinging small soft hackles and skating dries on your favorite trout waters. 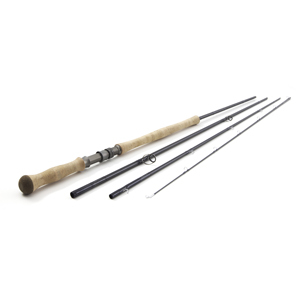 This rod will allow you to spey fish for with with smaller flies and light tippet. Discover the fun in taking two-handed tactics to the trout stream. The choice for seatrout and smaller salmon on smaller waters where tight quarters call for a combination of spey and single-hand techniques. 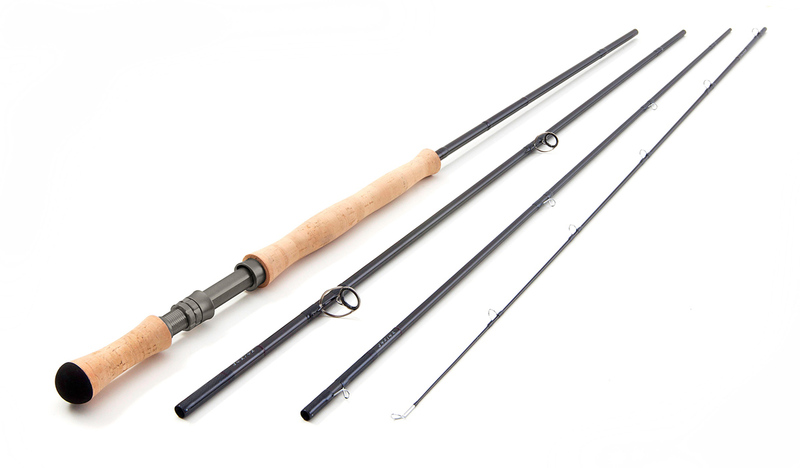 A workhorse for anglers looking for a switch rod to handle both sinking and floating lines. The perfect all-around two hander. This rod peforms equally well with floating lines or sink tips. Light and balanced, it’s a great choice when you need one rod to cover a wide variety of techniques throughout the season. The favorite rod for swinging flies with floating lines. Light in the hand and lively, this rod casts beautiful loops on mid and long belly lines. The perfect blend of power and finesse. The top choice for modern spey techniques and shooting head systems. This rod handles floating and sinking tips easily and casts tight, precise loops.It has progressive power for compact casts off the tip or fully loaded casts that use the whole rod for long distance casting with the heaviest tips. 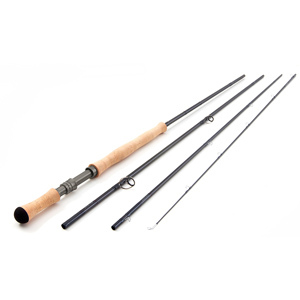 A great rod for summer salmon fishing when early season dry line techniques unfold into heavier sink tips and larger flies. The backbone of the T3h lineup. This rod typifies the versatility and smoothness of the T3h series. If you need to cover lots of water and fish different water depths, this model is a great choice. A great rod for big waters and the big fish you’ll find in them. The extra length helps form clean D-loops with long belly lines and controls swing speed at long distances..
A great choice for early season when fast currents and fast-sinking tips are the norm. Lots of power to wear down powerful mint bright fish, and reach those far seams with long casts. The most powerful two hander for big or high water conditions. This rod makes very long casts with heavy tubes and handles fast-sinking tips with ease.If you fish early season runoff conditions in Russia or Europe this rod will become an indispensable piece of gear.